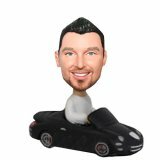 Featuring a professional race suit, riding a red and black Japanese motorcycle,this custom male bobblehead doll is ready for the competition. 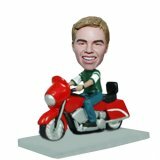 This customized bobblehead motorcyle fever is ideal gift for the him.We have to admit that, it’s hard to figure out a special gift to show their identity and hobby. 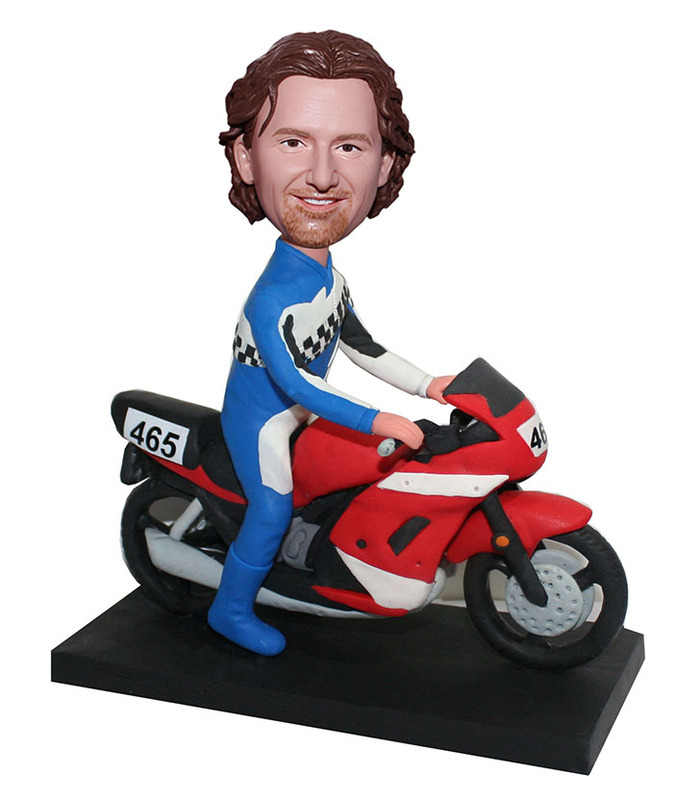 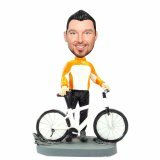 Here in Bobbleheadsme.com, this personalized motorbike racer bobblehead will leave him a unique gift deserved his love for a lift time.